McIntosh Hall (located behind the market) is available for private events* such as birthday parties, graduation parties, bridal and baby showers, corporate meetings, and nearly any event you can imagine! Our 60’ x 40’ space can comfortably seat up to 125 but can also provide a warm, intimate space for smaller parties. 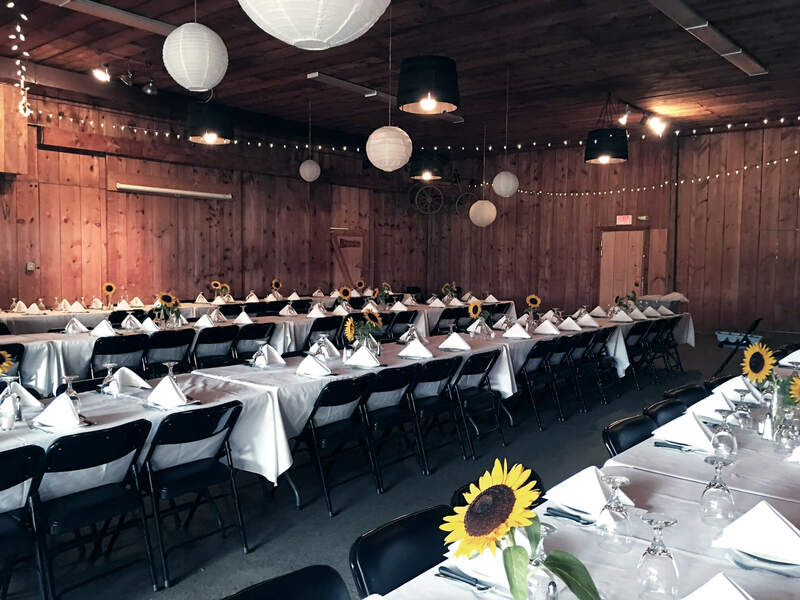 The room is air conditioned, heated, and has pinewood boarded walls and ceiling to give your event that charming rustic feel. Let’s celebrate the graduate! Host your graduation party at the farm for a low-stress, fun night. Our Catering Department will prepare the food and you can focus on your graduate’s big day. Celebrate this joyous time with your friends and family here at the farm. Book an affordable meeting space for your next event. Located conveniently off of I-79 at the Wexford exit, McIntosh Hall is a great location for a classroom or U-shaped teaching setting. We are equipped with WiFi, a dry erase board and easel, a projector and pull down screen, and a podium. Additionally, we offer customized catering from continental breakfasts and boxed lunches, to hot food buffets. Our Catering Department will be happy to customize your event with a menu ranging from drinks and appetizers to full-course meals. Check out our catering menu for options! Call Maria at 724-935-1743 or email events@soergels.com for more information or to book your event!